Turkey, as is well know, does not recognise the Republic of Cyprus. 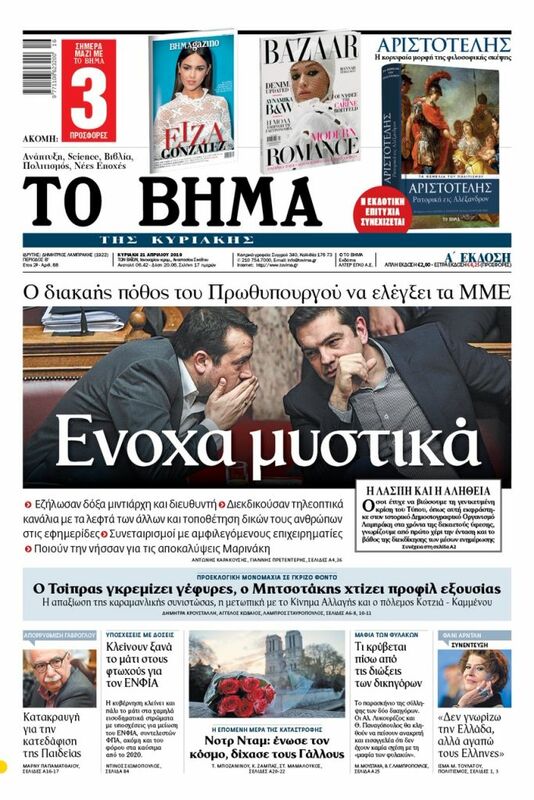 As a result, it also does not recognise Cyprus’ airspace, territorial waters, and Exclusive Economic Zone (EEZ). In fact, it considers the rich gas and oil deposits in Cyprus’ EEZ as being an extension of its own EEZ, though no other country recognises that. It should be noted that the Republic of Cyprus is the sole, internationally recognised political authority on the island, in the north of which Ankara has for the last 44 years supported its occupation regime financially and with tens of thousands of troops. Since 1974, when Turkey invaded and occupied nearly 40 percent of the island, it has eyed Cyprus’ advantageous airspace. Each year, Turkish warplanes encroach on or violate Cyprus’ airspace an average of 1,200 times. It should be noted that there was a sudden decline in the Turkish Air Force’s flights in Cyprus’ FIR (Flight Information Region) in July and August of 2016, following the failed coup against Recep Tayyip Erdogan, who sacked all its pilots until he was able to ascertain who was firmly loyal to him. Also, there is an obvious absence of Turkish warplanes in Cyprus’ FIR during joint Cyprus-Israel Air Force exercises. What advantages does Cyprus’ airspace have, and why is Turkey eyeing it? According to an analysis published in the Cyprus daily Simerini, Cyprus’ FIR was delimited in 1959, when Cyprus was still a British Colony, much later than Britain’s admission to ICAO (International Civil Aviation Organisation) in 1947. Following Cyprus’ international recognition as an independent state in 1960, the limits of Cyprus’ FIR remained the same after the island-republic’s admission to ICAO on 18 September, 1961. Nicosia’s FIR covers an area of 175,000 square kilometres, which is 19 times the area of the country’s national airspace. It borders with Turkey’s FIR to the north, northeast with Damascus’ FIR, southeast with Tel Aviv’s FIR, and to the south with Cairo’s FIR. 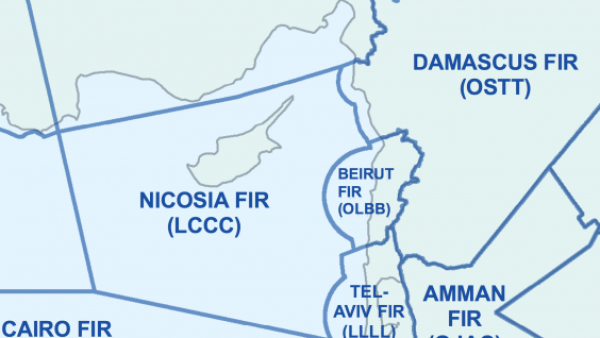 The fact that the area of Cyprus’ FIR is disproportionate to the area of the country was due to the fact that colonial Britain had managed, due to its influence within the ICAO organisation, to delimit the current borders of Nicosia’s FIR, with a view to controlling flight activity in the geostrategically crucial region of the Eastern Mediterranean, but also in order to economically exploit flights.